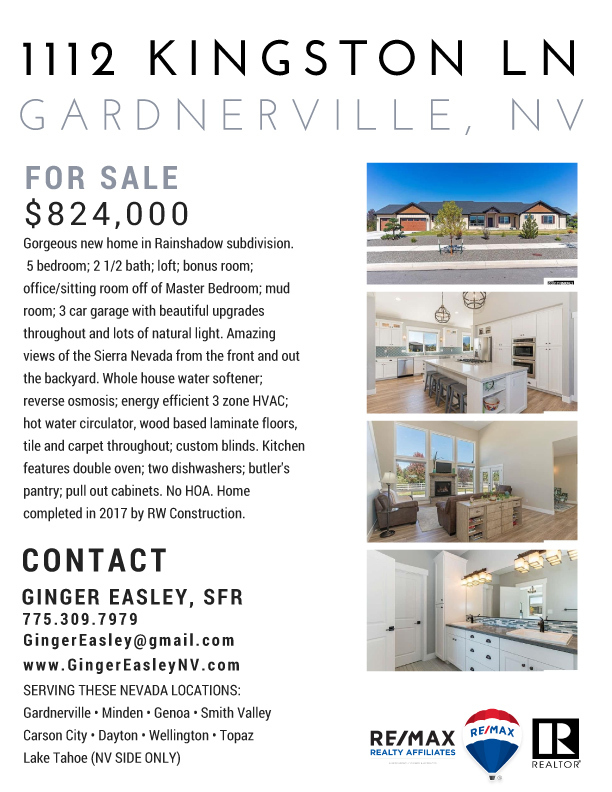 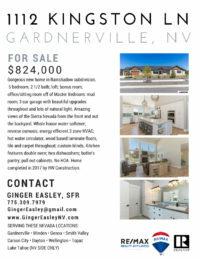 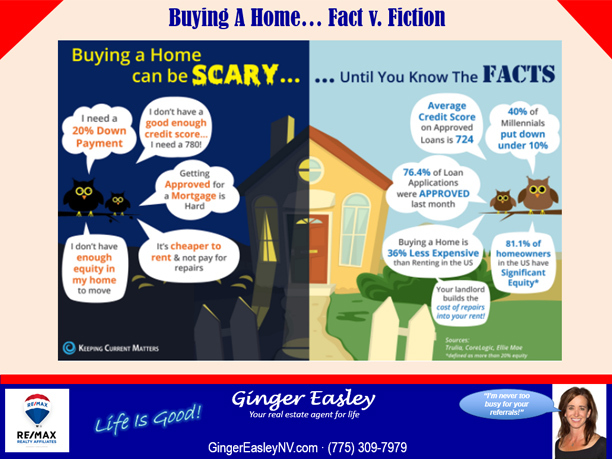 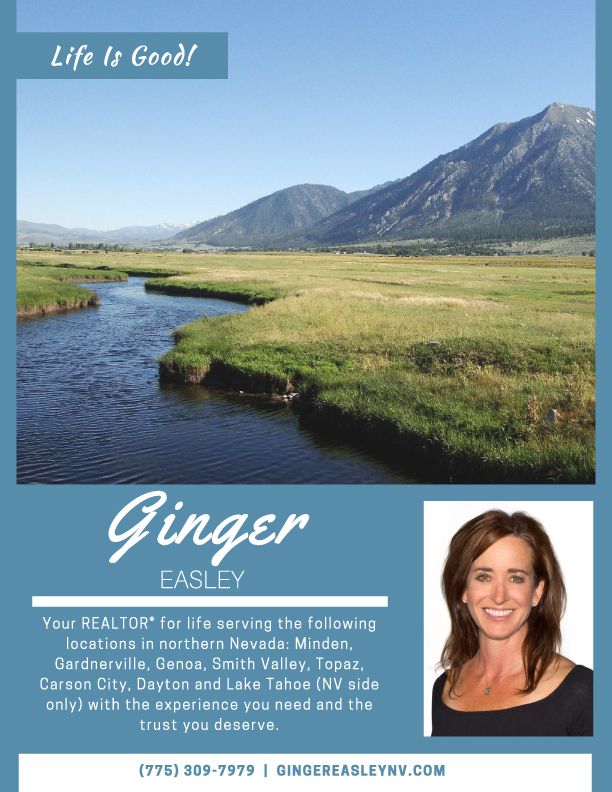 Ginger Easley has served Gardnerville, Minden, Genoa, Carson City, Wellington, Smith Valley, Dayton, Topaz and Lake Tahoe (NV side only) for 10 years. 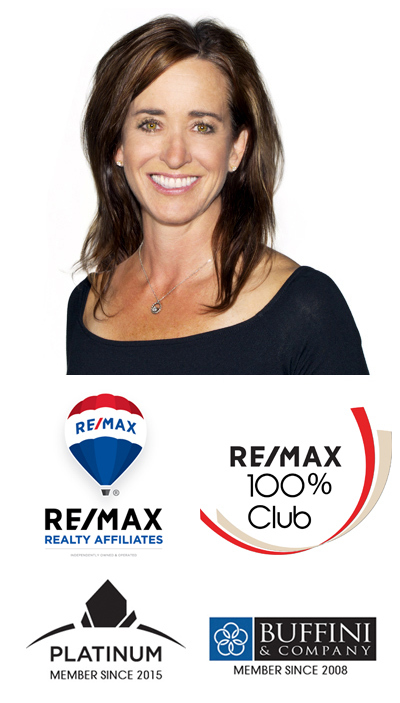 She is a 2015-2016 PLATINUM Member as well as a 2010-2014 RE/MAX 100% Club Member. 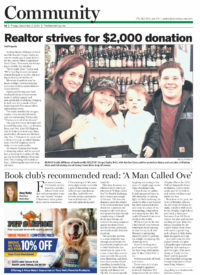 Ginger is passionate about giving back to her community and rallies her clients every year to donate to local charities. 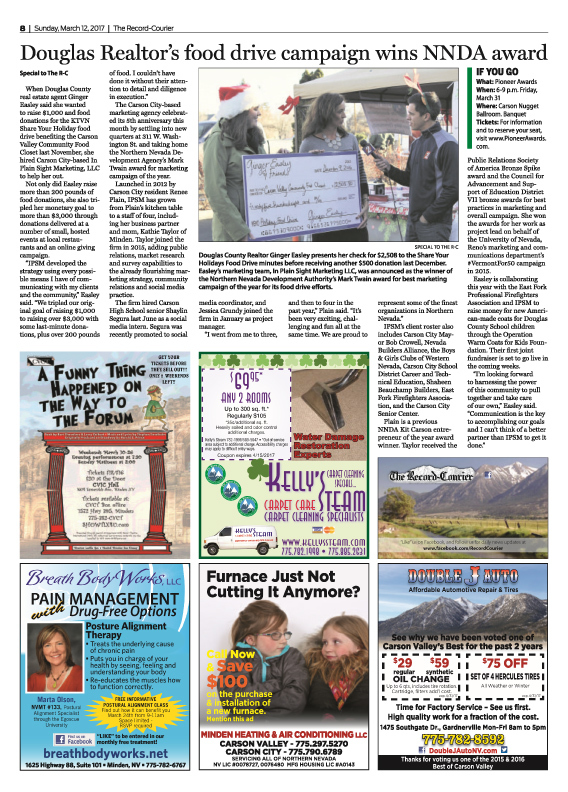 IPSM maintains an active client engagement program for Ginger including client birthdays and “homeversaries”, holiday and special occasion drop by gifts, charitable fundraising and other events. 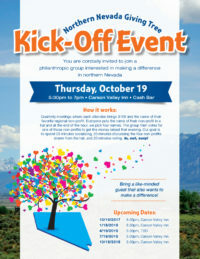 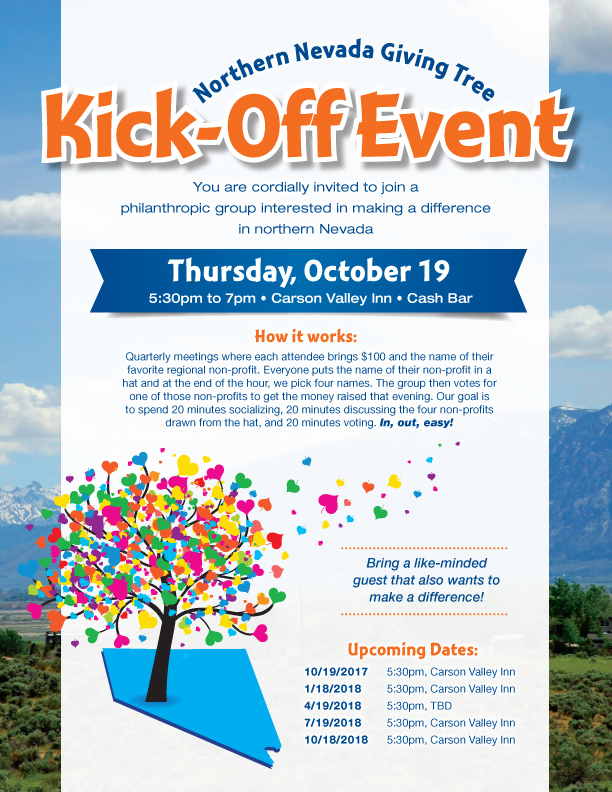 In 2016, IPSM managed an online fundraising program to raise money for the local food bank, which garnered a TV interview, print and online media stories, as well as winning IPSM the award for Best Marketing Campaign from the Northern Nevada Development Authority. In addition to client engagement, IPSM also manages Ginger’s website and social media accounts.